Melt the butter and chocolate over double boiler. Pour in Guinness beer and mix well. 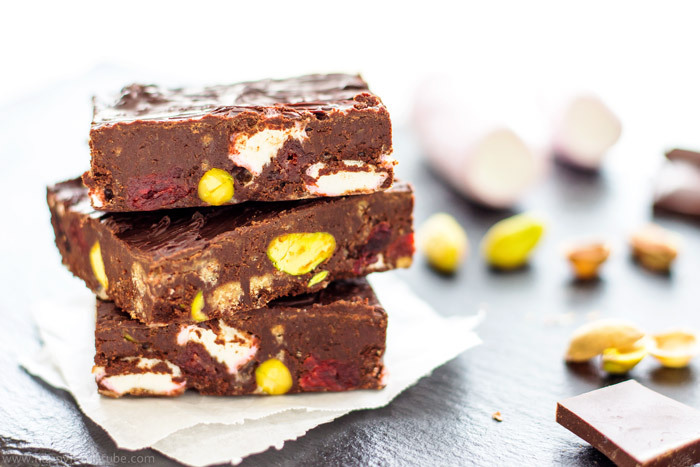 Add the rest of the ingredients – marshmallows cut in small pieces if you can’t find mini marshmallows, roughly crushed digestive biscuits, dried cranberries, peanuts & almonds. Mix until they are all covered with the chocolate mix. Pour into a tin foil tray (or onto a baking tray lined with baking paper) and spread the mixture around. 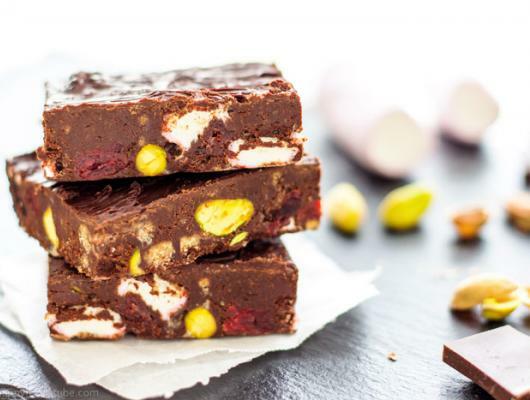 Cut into snack-size rocky road bars. Another no bake recipe that is ready in no time! All you have to do is melt the chocolate, add your favorite ingredients, mix, pour, chill & you are good to go!